One of the most commonly repeated phrases from the election, and some time before, is that Gordon Brown should not be prime minister because he was “unelected”. It’s a curious thing hat this mantra has been repeated so much that hardly anyone seems to question it, when even a cursory glance at the substance of the argument causes it to fall down, at least in our current system. First and foremost, the most obvious rebuff is that most people in the UK did not vote for Tony Blair. If you lived in Sedgefield in 1997, 2001 and 2005, and voted Labour, then yes, you voted for Tony Blair. But this covers only a relatively small number of people. Reports, possibly apocryphal but undeniably believable, suggest that voters this time around were confused as to why their ballots did not have Brown, David Cameron and Nick Clegg’s names on them. The leadership debates may have contributed to this cult of personality, they have certainly done nothing to show people the reality of their vote – that it is not for the men on the podium unless you live in Kirkcaldy, Witney or Sheffield. As this is the most obvious and common counter argument, it has frequently been addressed, mostly by people saying “Well yes, I know I was voting for a candidate called James Plaskitt/Fiona Bruce/John Leech, but I knew by voting for them I would be registering support for Brown/Cameron/Clegg”. This is only sort of true because it assumes that Brown, Cameron and Clegg will win their own seats. Whilst it is normal for the party leader to be found in a safe seat, one where you would assume they would get in, this is not guaranteed. Those who voted for the Democratic Unionist Party may well use the above argument that they knew who they were voting for, but it makes no difference – the DUP will either be lead by a genuinely unelected leader, or it will have to find a leader from the MPs it does have, someone who will be ‘unelected’ by the logic applied to Brown. It is unlikely this will ever happen to the Big Three of politics in Westminster, but this represents a shot across the bows of those who stick to the ‘unelected’ theory. Moving on from Robinson, a common feature of the British electorate is that it remains remarkably impervious to its own history. The way the rants about Brown being ‘unelected’ come across, you would think he is a terrible precedent, a man dangerously breaking rules which have existed for years, an exception. Here follows a brief history lesson, of the sort that does not get taught in schools because it represents the sort of hot potato that governments are not too keen on having taught, rather like proportional representation or the number of Brits who live abroad (i.e. as immigrants). There have been 20 prime ministers to begin their terms since 1900. There have also been 29 elections. As a quick quiz question, how many of these 20 prime ministers were like Brown, first becoming prime minister due to a change of party leadership between elections, rather than coming to power by winning an election? And the answer is… 13 out of 20. Now there are caveats. Two of these were Winston Churchill and David Lloyd George who took over war coalitions in WWI and WWII. Popular choices, both would have been elected anyway, and at a time when an election was unthinkable they represented the flexibility of politics and ability of the parties to work together to protect and help the people. 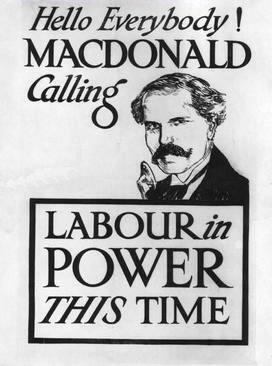 Three of the remain eleven called elections immediately after taking power. These were Henry Campbell-Bannerman (Liberal), Stanley Baldwin (Conservative) and Anthony Eden (Conservative). 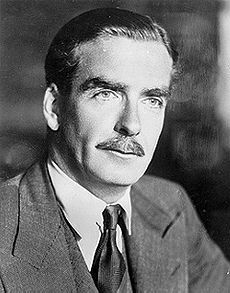 “I’m Anthony Eden, and I ain’t afraid of elections (although I am afraid of Egyptians)”. Now obviously some of these were elected, re-elected, or took over as leader between elections after their first term as PM (Wilson). This survey looks solely at those on their first terms. The most surreal thing about Brown is that it is not like this covers only older PMs, John Major arrived ‘unelected’ in 1990, just twenty years ago. Even I vaguely recall this happening and I was only just starting primary school at the time. If people want to complain about ‘unelected’ PMs, they need to understand that it is a part of the electoral system in this country, and that the alternative, a directly elected PM, is a rare thing. Funnily enough, a lot of those complaining Brown is ‘unelected’ have no such problem with the actual head of state, Elizabeth II, being unelected. I am not saying I agree with the system as it is. However I do think that throwing the ‘unelected’ label around without awareness of the history of ‘unelected’ PMs, without thinking through the implications of a Peter Robinson situation, and without understanding how the electoral system in this country works, is lazy.